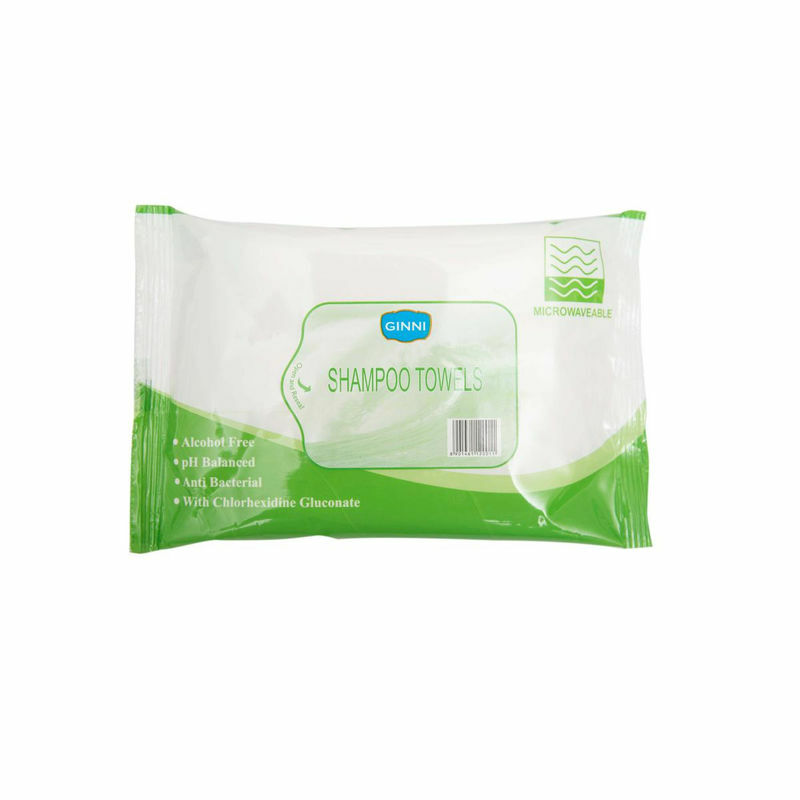 Here is one trouble shooter for your shampoo worries! Ginni Shampoo Towel 10's Pack cleans and shampoos your hair in minutes. No water & rinsing required. Easy & convenient for bedridden patients or people requiring partial assistance. Easy to use & dispose of. Can be used cold or warm. Additional Information: Ginni Consumer Products (unit of Ginni Filaments Ltd.) is a pioneer & leading manufacturer of wipes in India and is known for its premium, non-woven cleansing and make-up remover wet wipes. All its products are made from ultra-hygienic and soft Spun lace fabric and cater to the highest quality standards.